The Johnson Fiberglass Grade Rod is a telescoping rod that offers extended length of up to 16 feet or 25 feet with its adjustable sections. Ideal for all surveying and construction measuring applications, it features a fiberglass construction that provides durability to withstand harsh conditions at jobsites. 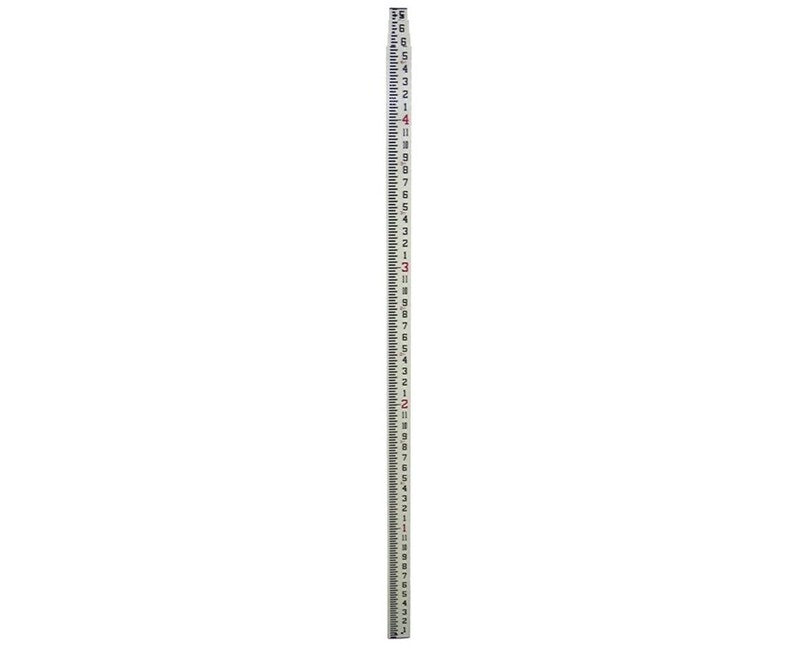 This rectangular-shaped grade rod by Johnson comes with rounded back and allows easy grip while measuring. It is equipped with easy-to-read graduations on front—in inches and eights of an inch—ensuring precise measurements. To enable overall height reading, it is printed with scale on its back in feet and inches. For long-lasting performance, the Johnson Fiberglass Grade Rod is water-proof and corrosion-resistant. It includes a one-year manufacturer’s warranty for guaranteed efficiency for a long period of time. For easy portability and accessibility, it collapses down to 48 inches or 50 inches and is supplied with a carrying bag. 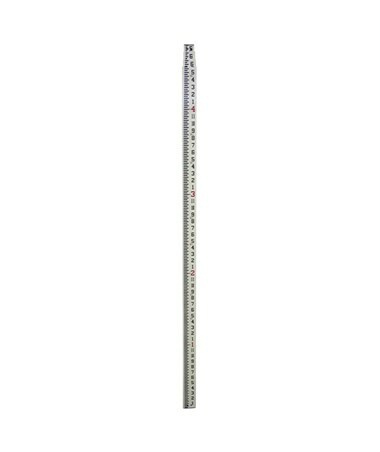 The Johnson Fiberglass Grade Rod is available in two different lengths to accommodate most measuring applications. Please select your preference from the drop-down menu above.